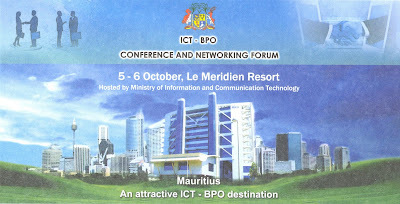 The Government of Mauritius through the Ministry of Information and Communication Technology hosted an ICT/ BPO Conference and Networking Forum on 5th and 6th of October last at Le Méridien Resort to promote Mauritius as a safe, cost-competitive, high-quality and knowledge-intensive outsourcing destination. The event also acted as a showcase to position Mauritius as the next emerging high value-added off-shoring and outsourcing destination and provided the right platform for local operators to connect with outsourcers. 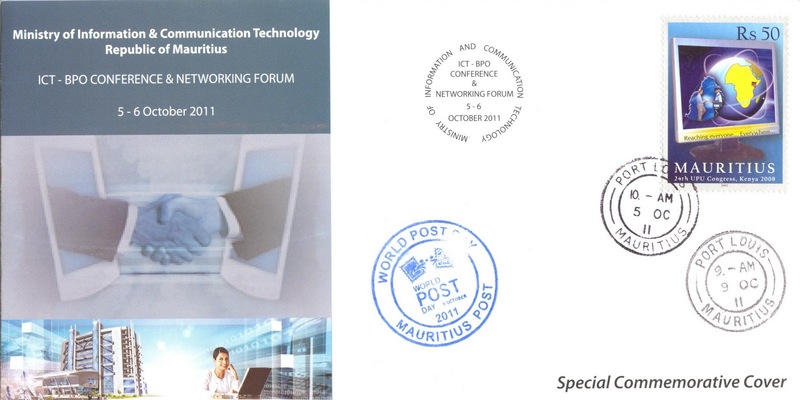 The ICT/ BPO sector in Mauritius consists of some 400 operators and employs more than 14,000 people. For the year ended 2010, the sector in Mauritius has contributed 6,4% to the Gross Domestic Product, thus making it the 3rd pillar of the economy. In the coming years, the sector is promised to grow by at least 20% with new entrants entering the market as well as through the expansion of the activities of existing operators due to new policies measures adopted such as the open access and reduction in tariffs. Steps are also being taken for the accreditation of the Data Protection Office with EU and for bringing necessary amendments to the Electronic Transaction Act. The global economic crisis has forced companies in many developed countries to restructure their processes and turn to safe and cost-effective destinations to maintain a competitive edge. With its political stability, conducive investment climate, bilingual workforce and ideal location in respect of time zone, Mauritius has merged as the preferred destination for ICT/ BPO activities.